BUFFALO, N.Y. -- The Bisons dropped Saturday night's contest to the Bulls by a final score of 10-5. 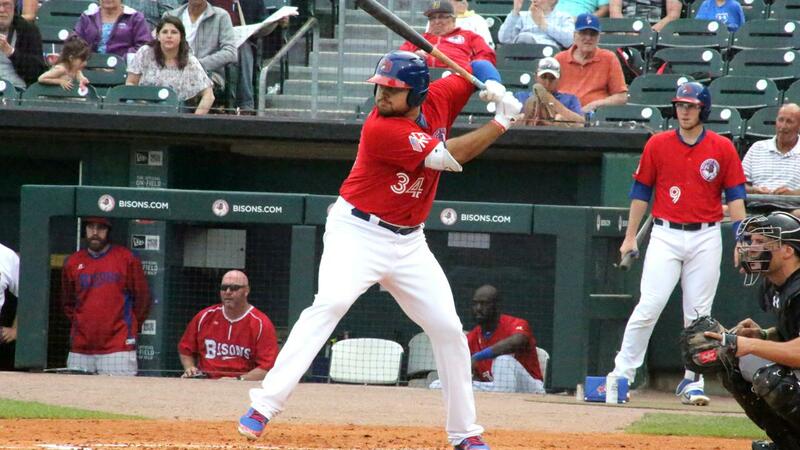 Behind two home runs from Rowdy Tellez, Buffalo shaved down an early deficit but the Herd were ultimately unable to complete the comeback. The Bulls registered 14 hits and each batter in the lineup reached base at least once in the game. The Bisons trailed by two runs heading into the top of the fourth but a three-run home run from Kean Wong burst open a 6-1 advantage. Then, Brandon Lowe sent a ball out of the park to extend the lead to six runs. The Herd faced an uphill climb, but it wasn't discouraged by the six-run hole it fell into as the Bisons progressively whittled down the lead beginning in the fourth when they batted around the order and brought home three runs. Tellez kickstarted the rally by cranking a towering home run to right field for a solo shot. In the same frame, Gunnar Heidt and Tim Lopes both collected RBI-singles. Tellez's power surge continued an inning later when he clubbed another solo blast to right field--his second of the game. The first baseman's longball brought the Herd within two runs of the lead. Durham scored a run in the sixth and three runs in the eighth which put a damper on the potential Herd comeback. Heidt, making his Triple-A debut, singled in his first at-bat in the third. He also made a nice play in the field, ranging to his left on a grounder. Heidt fielded it cleanly, spun around and then made an accurate throw to first to record the assist.